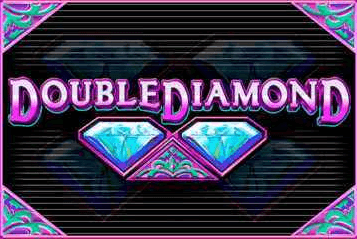 Double Diamond is a pokies game is a classic three-reel slot game that has one payline. 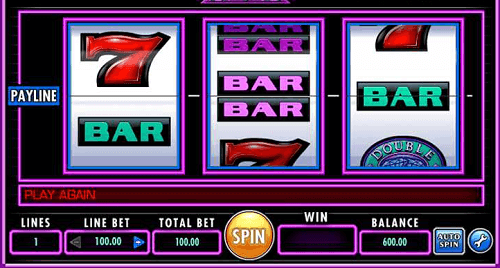 Even though there is not much excitement to this kind of pokies, they usually have the best payouts. 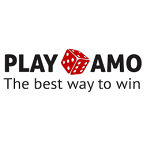 This International Gaming Technology (IGT) game has a payout percentage of 95.44%. 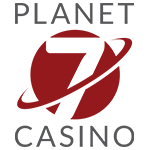 The look of the game is simple and clean with symbols that you will see on most classic slot games. There are few symbols that you will find on the reels. Symbols include the Double Diamond logo which is the wild symbol, cherries, sevens and bars. All three reels pokies are simple to play and the Double Diamond game is not any different. One payline makes it simple without having to worry about choosing a payline out if many. As usual, the wild symbol will substitute all the symbols on the reels to create winning combinations. The logos will payout 1000x when you have three on the payline, and that makes it the high paying symbol. The logo can also multiply your wins when it forms part of a winning combination. For example, if you have wins with one logo your winnings will be multiplied 2x. 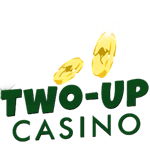 If you have wins with two logos your winnings will be multiplied 4x. Double Diamond may be simple and with no storyline but it has good payouts. The game is also compatible with mobile devices whether you are using an Android or Apple device. 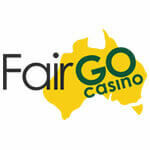 Find this IGT pokies game at the Aussie Casinos on the internet. 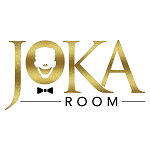 Sign up and claim the best welcome bonuses to play the game for real money online. There are other classic pokies games that you can play and video slots available from IGT and other top software providers.